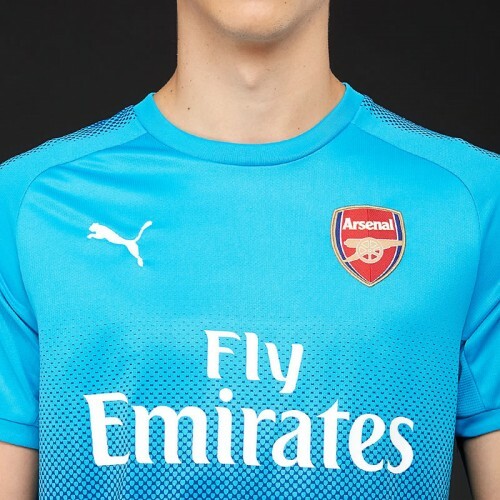 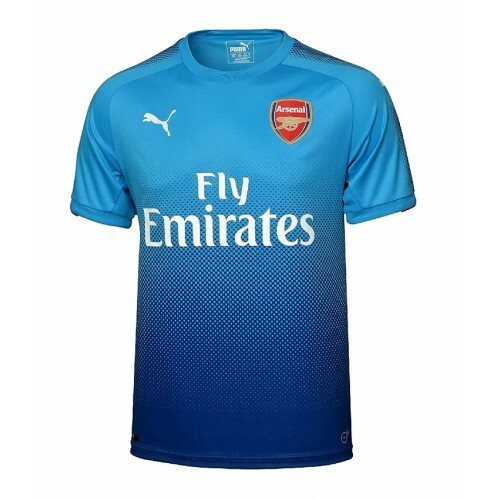 The new Arsenal 2017/18 Away shirt is offered in blue this season with a round neck collar. 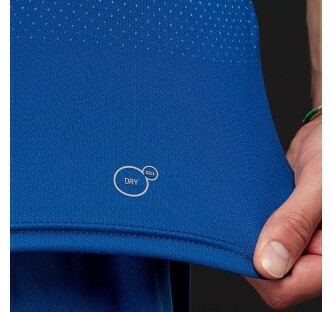 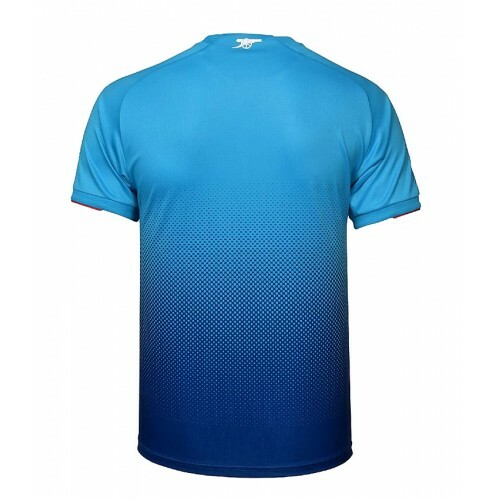 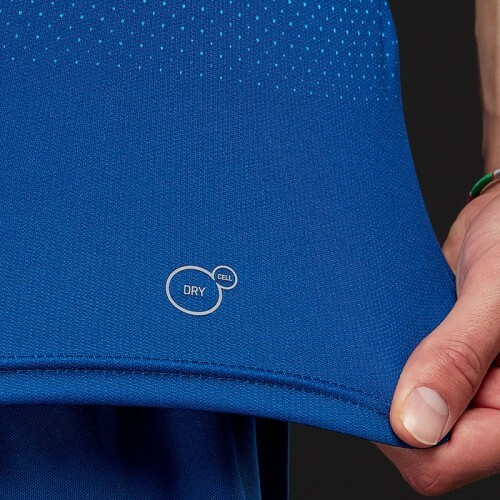 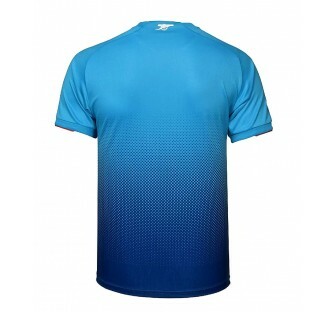 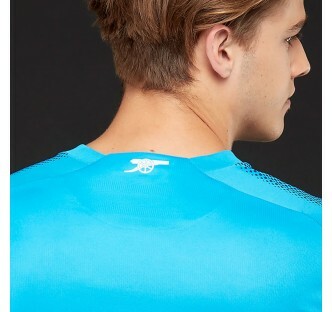 The shirt benefits from dryCELL Puma technology that is designed to enhance your performance by drawing moisture away from the skin to help keep you dry and comfortable during exercise. 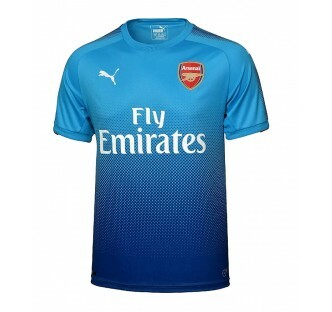 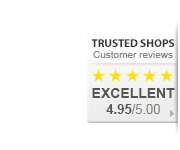 Designed in a regular-fit style the shirt features white formstripe graphics running down the sleeves with a small white cannon at the yoke of the shirt. 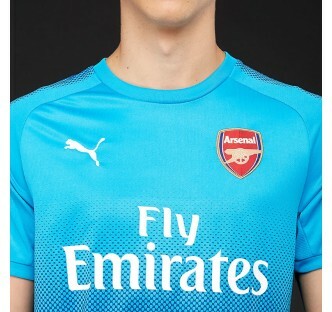 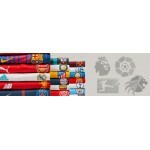 Why not customise your shirt with the new Premier League printing font for the 2017/18 season.